When you invest in content marketing, you have to understand that it usually takes some time to see results. The same is true for any search strategy. To rank well in search results and drive a lot of traffic to your site, Google has to index it, users have to see it, click it, link to it and share it. However, there are certain video marketing strategies that can satisfy the craving for immediate results. One Brafton customer that had already partnered with our editorial team for a written content strategy wanted to build a stronger visual presence. So we worked with the company to create a video marketing strategy, including twice-weekly video blogs to complement the ongoing blog posts it received. It didn’t take long to see the impact video content was having on the website’s organic search presence. Within a month, content analytics reports showed those first few video blogs were having a major impact on the website’s results. 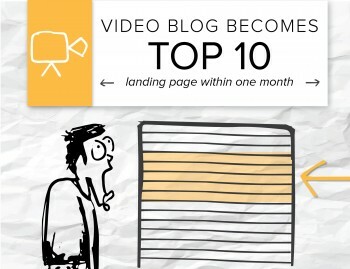 One video was among the top 10 landing pages for the website, meaning a lot of search traffic was finding the content online and coming to the site to see it. Not only that, but two of the video blogs published during that first month quickly became some of the most popular posts for the site. The number of hits they received since publication were enough to put them in fourth and eighth place amongst the entire archive of blogs posts on the site. Successful video marketing isn’t just about the format. It’s about the way you execute strategies. In this case, the company produced concise videos that offered tips about relevant topics. 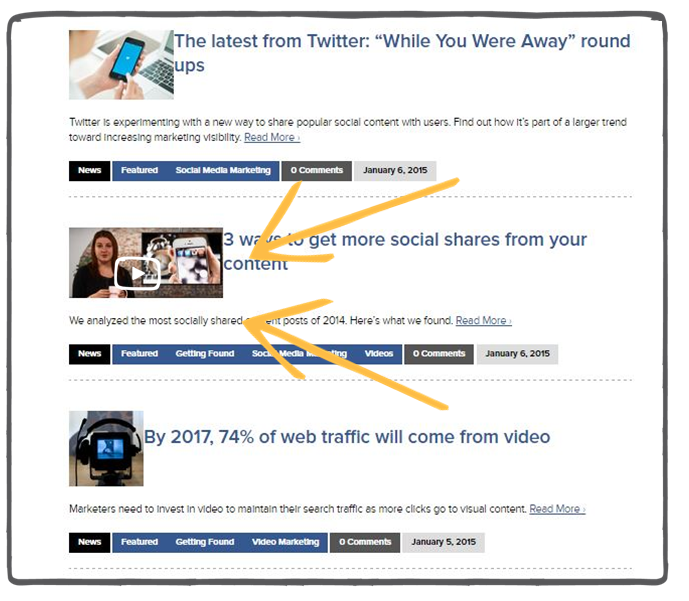 Relevance is one of the keys to winning with video content, but the element of surprise is another important feature. Director of Video Product Perry Leenhouts says the best way for companies to get instant wins from their content is to do something unexpected. If everyone else in your industry is producing safe corporate videos, take the risk to create something more entertaining, like an animated video or an on-location interview. When you create something new and unexpected, people notice (and share). If brands want to get instant wins from their content, they should similarly find ways to do something different that will stand out from the rest of the companies publishing content for search benefits. This mobile marketing tech company did and it was contributing to an 18 percent growth in organic traffic to the site.